Sherlock was abducted by enemies during a Secret Society investigation. The enemies want all the evidence against them in exchange for Mr. Sherlock’s life and within one hour precisely. 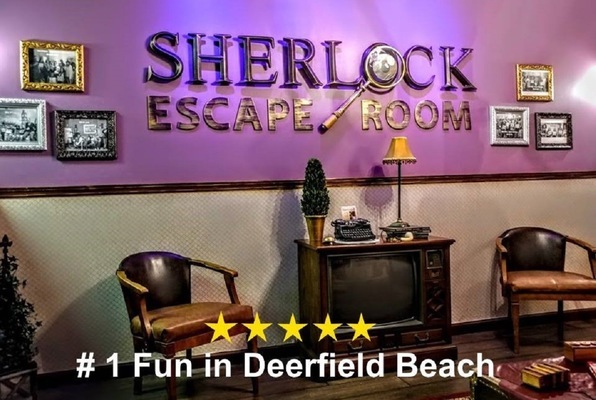 The Chief just assigned you and your team of highly trained Secret Agents to this mission by going to Mr. Sherlock’s hotel room and finish his investigation, find the clues, the hidden evidence, a secret passage and exit in time to rescue Mr. Sherlock. Agents, don’t forget to destroy this message as soon as you read it. Enemies are all over. Reviews of escape game "Sherlock's Rescue"